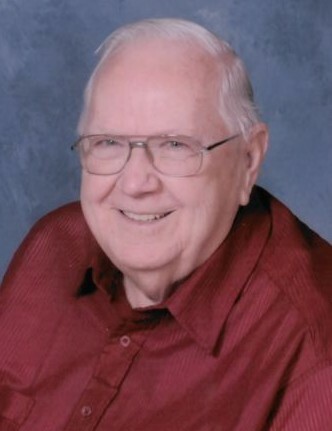 Robert Bryant Reed, 85, of Washington, passed away at 6:15am Saturday, March 30, 2019 at OSF Richard L. Owens Hospice Home in Peoria. He was born January 21, 1934 in Peoria to Leotis F. and Myrtle Ruth Pierce Reed. He married Patricia Hendrickson on June 27, 1954, and they were married 57 years until her death in 2011. He then married Marilyn Enlow on October 20, 2012; she survives. Also surviving are his children, Vickie (Bob) Parrott and Robert J. Reed, both of Washington; step-children, Jamie (Denise) Enlow, Angie (Dave) Kelly, and Terra (Ken) Edgell, all of Washington; John (Laura) Enlow of Morton, and Debbie (Matt Apsley) Lohenitz of Denver, NC; grandchildren, Brian (Cherie) Parrott, Brett (Lisa) Parrott, Brandon (Erin) Parrott, Kristi (Jason) Polin, Michael Reed, and Melissa (Ryan) Hearon; step-grandchildren, Lauren (Chris) Roderique, Jared and Tyler Enlow, Trenton Mercer, Mallory, Sean and Parker Kelly, Holly Cornell, Kendra and Keith Lohenitz, and Tavian and Trezdyn Edgell; great-grandchildren, Will, C.C., Carrie, Whitney, Valerie, Bryant, Blake, Kyle, Maddi, Kyla, Paisley, Cael, Sophia, and Charlie; and step-great-grandchildren, Karis and Colby. He was also preceded in death by his parents, three brothers, and one sister. Bob owned Reed and Son Carpet Service for many years. He was also Head of Maintenance at Washington Community High School, retiring in 1999. He was a founding member of Highview Church of God, where he sang in the choir and served on many boards. He also served as President of the Church of God International Men’s Association. Bob loved baseball and was a lifelong Chicago Cubs Fan. Most important to him was his family. He loved them all, especially his grandchildren and great-grandchildren. The family would like to sincerely thank the staff at OSF Neurological ICU and Richard L. Owens Hospice Home for their loving care during this difficult time. A funeral service for Bob will be held at 11:00am Thursday, April 4, 2019 at Highview Church of God in Washington. Pastor Brent Farmer will officiate. Visitation will be from 5-7:00pm Wednesday, April 3, 2019 at Deiters Funeral Home and Crematory in Washington; additional visitation will be one hour prior to the service at the church. Interment will be at Swan Lake Memory Gardens in Peoria. Donations may be made to the OSF Richard L. Owens Hospice Home, American Brain Tumor Association, or a charity of the donor’s choice.